C.E. 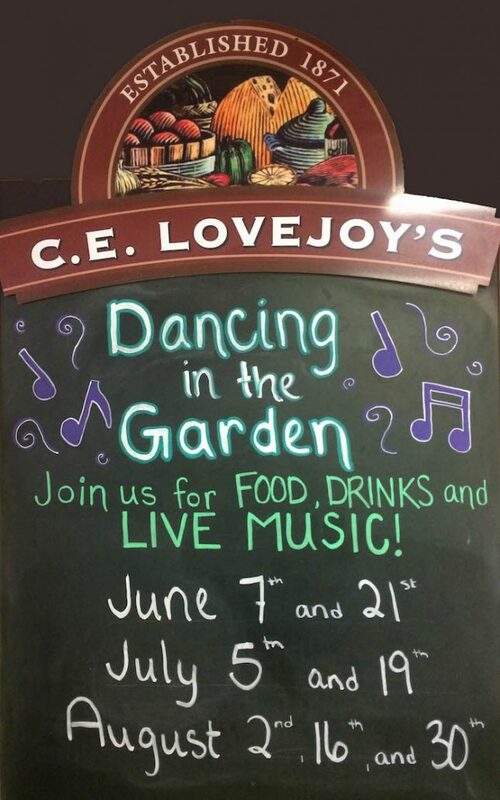 Lovejoy’s “Dancing in the Garden” Beer & Wine Gardens Begin June 7th, 2018! C.E. Lovejoy’s Brookswood Market’s Dancing in the Garden Summer Beer & Wine Gardens are returning to Thursday night’s in 2018! Starting on June 7th, food, drinks and free live music will be livening up the neighborhood every other Thursday from 5-7:30pm. Stay tuned for exciting announcements and details, but mark your calendars now to join your friends and neighbors here at C.E. Lovejoy’s this summer!